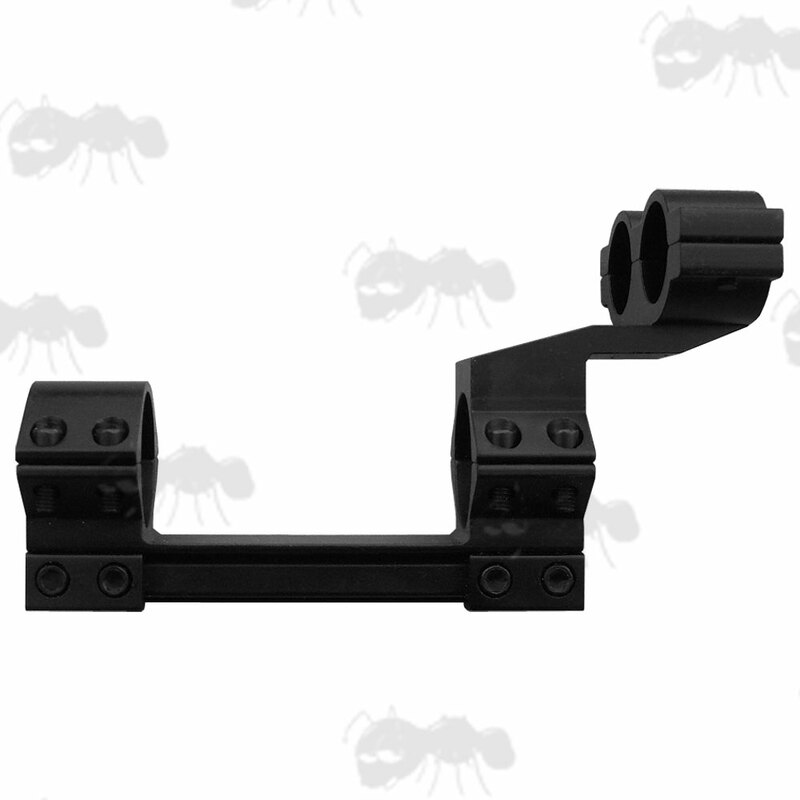 For 9.5-11.5mm wide dovetail rails. 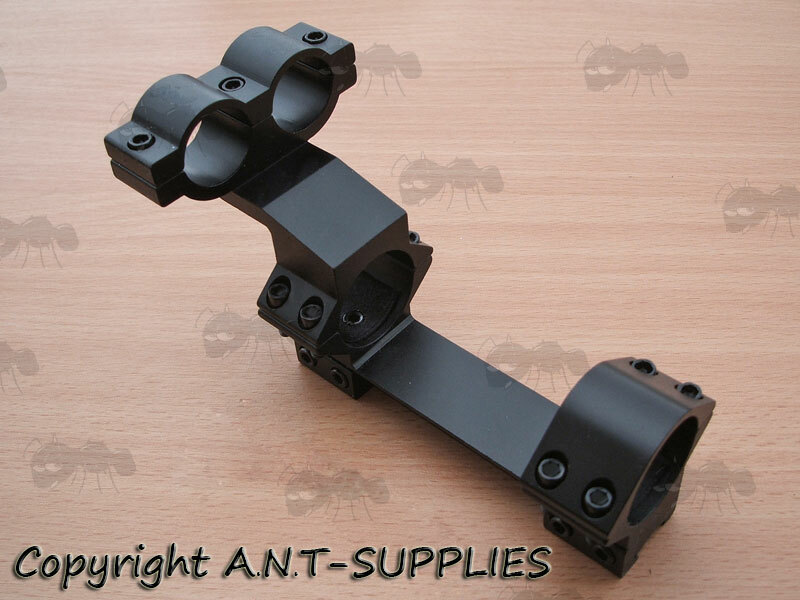 Also available ~ Scope mounts with laser / torch mounts for Weaver / Picatinny rails. One piece, double clamp, low mount. For 1 inch / 25mm tubes. 9.5 - 11mm dovetail fittings. For scopes up to 45mm objective lens. Overall height 75mm, width 63mm. A unique rifle scope mount with holder for a torch and laser or for two lasers to be used as range finders. Both of the figure of eight mount rings hold ¾ inch/18mm diameter tubes. Two double clamped mounting plates for secure clamping. A similar mount also available for scope body mounted lasers.